“When there is an intervention of prayer, even at high points of disagreement. It stops the bleeding. It quiets the loud voices. It pauses you as you realize whose presence you’re in. But prayer is for a lot more than breaking up fights. Prayer is a privilege to be enjoyed on a consistent, daily basis. When you know that prayer time awaits you before going to bed, it will change the way you spend your evening. Even if your prayers together are typically short and to the point, this will become a standing appointment that you can orbit your day around, keeping God in the middle of everything. It’s true that beginning a habit like this can initially feel awkward and uncomfortable. Anything this powerful will surprise you with its weight and responsibility when you actually try doing it. But bear in mind that God wants you to engage with Him – invites you, in fact – and He will grow you as you take it seriously and push past those times when you don’t know what to say. It’s true that beginning a habit like this can initially feel awkward and uncomfortable. Anything this powerful will surprise you with its weight and responsibility when you actually try doing it. 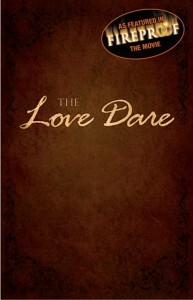 So if we thought yesterday’s Love Dare on reading the bible everyday made some people a bit uncomfortable, then today’s love dare to pray everyday with your spouse might really be out there. I’ll be honest and truthful about my own marriage on this topic. (That seems to be what is most interesting to the readers here on this blog). We don’t do it. We both love Jesus, faithfully attend church, read our bibles, do various men’s and women’s and life groups, journal, discuss what God wants in our lives, pray with our kids and pray on our own. But we don’t pray together. I would like to but I don’t think we’re both to that point in our spiritual growth and it definitely feels awkward. We pray with the family at the dinner table and we’ll even pray fervently out loud in our life group but the two of us together, never. I asked this question in a women’s bible study about 10 years ago when we were way early in our marriage and I was still pretty fresh in my “new” understanding of Jesus in my life. It was a simple naive question because I assumed this wise group of spiritually mature women in strong marriages who were my mentors and counselors at the time most certainly did this. I asked, “Do you pray with your husbands?” I can remember I received looks of horror, surprise, shame and guilt as if they’d been caught in the act of sin. Yes the bible says to do this. Period. Tough to argue that and find an escape clause when you’re sitting in a bible study. 2. Pray deeper together at the dinner table and at moments when you are praying with your kids. It shows him you are willing and ready. 4. If your husband is not a believer or unapproachable in spiritual topics (some men are very private in this way), never give up hope. Have faith and pray specifically for this to open in your marriage. 5. Don’t be hard on yourself. Just based on my informal surveys and observations, praying together is quite an “advanced” activity for husbands and wives. It’s something to aim for as your marriage grows on through the years. 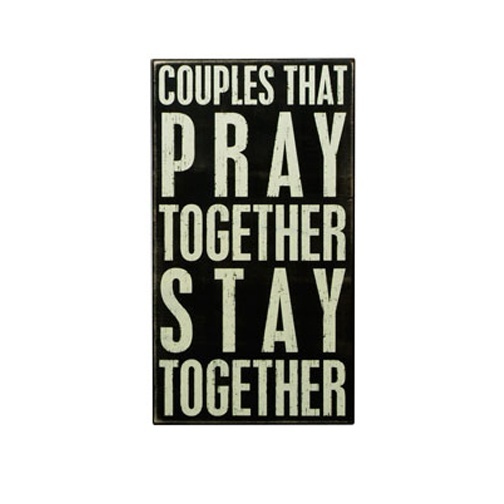 Ask your spouse if you can begin praying together. Talk about the best time to do this — whether it’s in the morning, your lunch hour, or before bedtime. Use this time to commit your concerns, disagreements, and needs before the Lord. Don’t forget to thank Him for His provision and blessing. Even if your spouse refuses to do this, resolve to spend this daily time in prayer yourself. 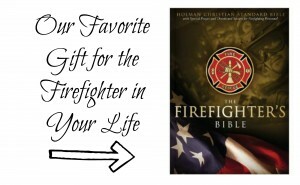 Big question for the fire wives…..also being discussed in our private group, Do you do this? Do you do it by phone when he’s at the station? 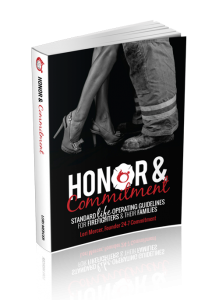 Fan the flames of your marriage with Marriage on Fire, a program created specifically for Firefighter Marriages. Register for Marriage on Fire!